It’s an overcast southern afternoon on this Independence Day holiday and I am feeling the deep freedom of an unstructured day. Often, we are a family of nomadic wanderers on July 4th, packing up the car for a trip to visit either the family in St. Louis or in upstate New York. While it’s always fun to travel, I’m grateful that this year, we are at home and relaxing. Relaxation can be one of those charged words. I’m not one who can sit poolside staring at my toes (not that there is anything wrong with that, friends….it’s just not in my genetic or personality profiles). What I mean by that word is that I am embracing the freedom to do the small things that give me pleasure. I’m working in my garden and picking big bouquets of coneflowers and brown-eyed susans to bring into my house. I’m getting started on the assignments I brought back with me from my seminary classes in an unrushed and thoughtful way, since I have a long-weekend away from my workplace. I’m catching up on media stories and videos that I’ve bookmarked for later. I’m connecting with friends nearby and far away, and cooking unhurried dinners for my family with fresh ingredients from the farmer’s market. This is the good stuff of my middle-class American life. These are the ways I live into the life, liberty and pursuit of happiness afforded to me by my privilege to be a citizen of the United States. I am grateful, I am humbled, and I am reflective. I have been thinking and reflecting a lot about freedom. Earlier this morning, I read the text of the Declaration of Independence from beginning to end. As I read, I wondered how I would have encountered and interpreted it at the time. Of course, I immediately realized how false this whole notion was, because I would not have encountered it at all. I am a woman. I may possibly have been given some rudimentary lessons in writing if I were of the correct social class. But, I would not have been the correct social class. My people were peasant, farm people in the countries from which they originated and my people were and are mostly country, farm people here in the United States, too. Being hard workers grounded to the earth is an amazing attribute, and my family of origin is beloved to me for their personalities and their values. But, it’s unmistakable reality in our history that workers have been separated from intelletuals for centuries. In some ways, we still perpetuate that dichotomy. Today, I am grateful and humbled and reflective of my freedom to be both grounded in the world of the working, and educated in the thoughtful and critical hallways of academia. My blood still pumps in the circular rhythms of the seasons and craves the daily pattern of sunup to sundown work. That was modeled for me in my rural farming family of origin, and I honor and respect that heritage even today. It brings me to farmer’s markets instead of grocery stores and makes me very leery of buying anything prepared in a package. It’s also why I am productive…not because I am particularly fast, but I do have a hefty tolerance for working long hours. When people encounter me in some of the very formal and structured institutions of which I am a part, they sometimes remark, “you’re a breath of fresh air.” I take that as a compliment to my heritage, not my person. Being grounded to the earth and partnered with the people is something I cherish. I realize that it seems counter-intuitive to images of July 4th poolside, hot-dogs and beer, fireworks and festivities: but one of the things I am most thankful for this Independence Day is the freedom to engage in meaningful work. For me, meaningful work involves a combination of intellectual discourse, social advocacy, community engagement, and soulful service. So, on this Independence Day I am going to give out a few freedom accolates to women who perhaps haven’t had as much coverage in history as they should have, but without whom I would not be following the journey I am today. I thank them today for ways in which I express my freedom of meaningful work. 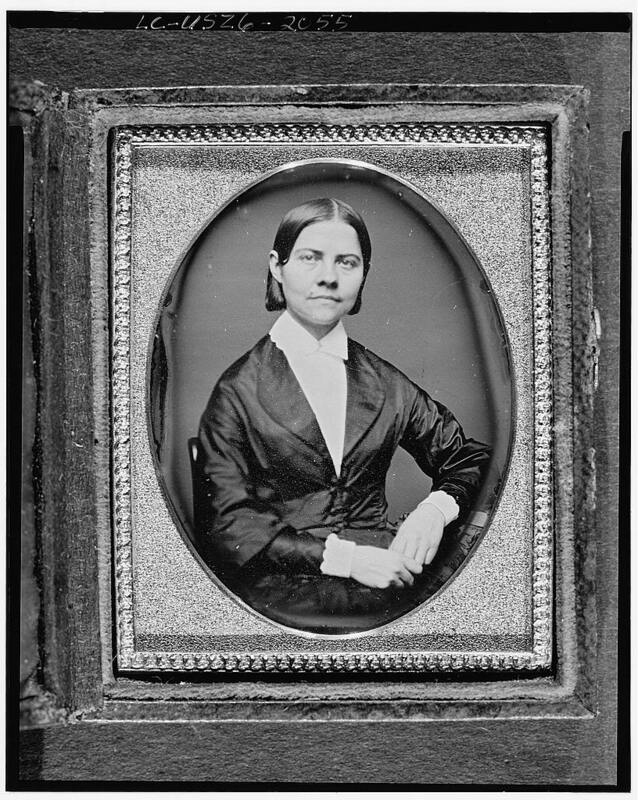 As an advocate for civil and human rights, my next freedom accolade goes to one of the first female graduates from a co-educational American University (Oberlin), Lucy Stone. 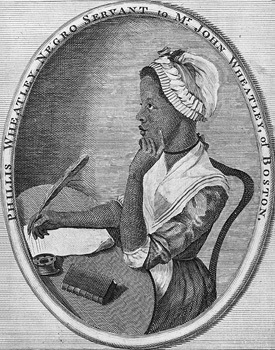 I give this accolade in honor of the fact that her first actions were not to revel in her own accomplishments, but to advocate for the rights of another oppressed group as a lecturer for the Anti-Slave Society; she consistently linked the struggle for freedom with one group with the struggles for freedom with others. For freedom to be a vocal advocate whether I not I feel I “belong” in the academy, I honor Lucy with a freedom accolade. Phillis, to you I extend a freedom accolade for your willingness to express your soul even when it was in captivity. Finally, on this independence day, I extend a freedom accolade to Mary Kenney O’Sullivan. While she is the most contemporary of my accolades bestowed today, I celebrate with her my working class heritage, my embrace into social reform, and my commitment to community partnership and organization. Mary Kenney was one of the few working class women to become leaders with Jane Addams at Hull house. She lived and learned from life and used her knowledge, skills, and vision to blaze a trail for others. Before and after her time at Hull House, she worked as a labor organizer striving to secure safe and equitable employment for women which included securing the right to vote, hold political office, and be in paid positions of leadership. I extend to Mary a freedom accolade for establishing the value of professional work in women’s lives and committing your passion to securing a freedom that I celebrate, even on my “off” days…. There are so many other women and men that I could recognize. I hate to stop, but other meaningful work is calling me. But, as we celebrate independence on this July 4th holiday, I’m pleased to have been able to give a few of my heros some additional accolades. This entry was posted in quotations and reflections, work and life and tagged Abigail Adams, american history, freedom, independence day, Lucy Stone, Mary Kenney O'Sullivan, Phillis Wheatley, suffrage, women, women's history, women's rights, Work. Bookmark the permalink.